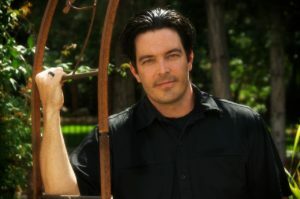 More I research into essential oils, more I’ve come to realize that the applications are vast. So, I figured I’d look into one of my all time hated season for allergies, SPRING!! I know most people look forward to it and love spring season. But for me its the season I’m packing a 30 count of Claritan-D in all my outdoor bags and hoping I don’t catch a pollen on my way to work. So this year, I’ve decided to experiment with essential oils for seasonal allergies and here’s what I’ve found to prepare. Essential oils, and aromatherapy, in general, have a wide range of benefits for health and lifestyles. As well as maintaining a high level of existing health and well-being, they can also be used to treat specific problems such as allergies. It can be tricky to find natural remedies for seasonal allergies, but essential oils are one of the most effective treatments. Using essential oils to treat these allergies is especially effective as the essential oils target the root of the problem and holistically treat the problem of seasonal allergies. Based on traditional medicine that has been proven to work over centuries, these mixtures will leave you feeling refreshed and healthy for any allergy seasons to come. 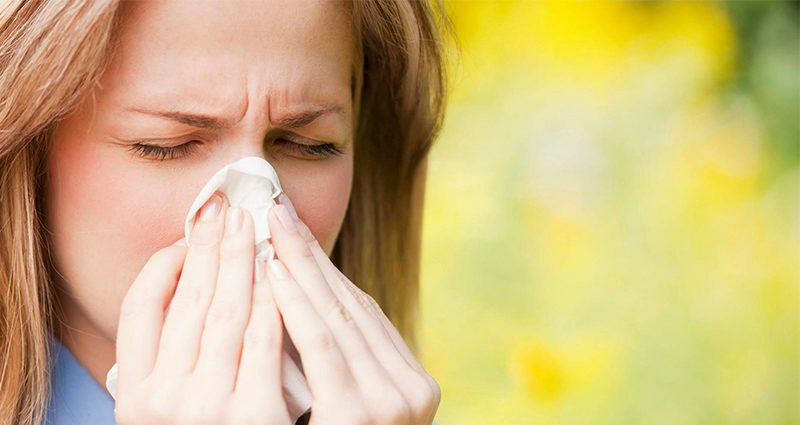 Seasonal allergies are particularly unpleasant as they occur in the warm seasons of the year (spring season). In severe cases, those who suffer from seasonal allergies may be discouraged from going outside as a result of their reaction to airborne pollen and other plant substances. 3 How to use essential oils for seasonal allergies ? 4 What essential oils are good for seasonal allergies? Common and frustratingly difficult to treat, seasonal allergies are an unpleasant affliction for many people worldwide. Also known as allergic rhinitis, the condition can feel like a strong head cold due to the body’s immune response to the allergens of pollen. One of the first symptoms felt by many is frequent sneezing, which can be annoying and disruptive in a work environment. This is often followed by a runny nose. In conjunction, these symptoms often lead people to believe that they are suffering a cold when in fact they are simply reacting to an allergen. Other signs that you may be experiencing an allergy to seasonal plants include a mild headache and issues with sinuses. If your condition is severe, you may also experience wheezing and trouble breathing as the condition affects your airways. 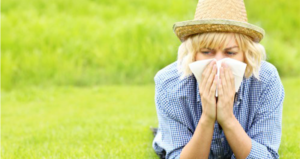 Seasonal allergies are caused by the body’s immune system. 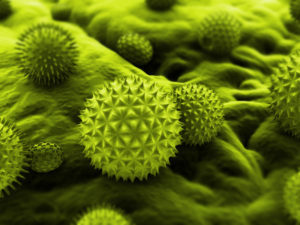 Instead of recognizing pollen as what it is, it is seen by the body’s immune system as an intruder. The body responds in kind by creating the above symptoms, which are similar to a head cold or the flu. The chemicals released into your bloodstream are designed to ward off intruders, and cause your body to get rid’ of the pollen by sneezing or coughing. Essential oils can help with this as they target the reasons for the body’s response and the symptoms, instead of only relieving the symptoms, which show on the surface. How to use essential oils for seasonal allergies ? For seasonal allergies, essential oils are best inhaled via an aromatherapy inhaler or placed in a diffuser. Inhaling the e-oils for allergies will allow them to travel into the airways affected by seasonal allergies and use their properties in all the right places. It also ensures that they can diffuse quickly into the bloodstream for optimal transport to the site of the problems caused by allergies. If you do not have a diffuser or inhaler for essential oils, simply carrying around a piece of fabric soaked in the oils in a vial or small container , and this way you can access the soothing properties of essential oils whenever you need. 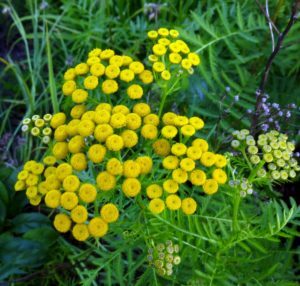 Blue Tansy Essential Oil – Effective at stopping the itchy skin and nose that comes with allergies and at relieving the blocked nose. A wonder-worker for most allergic symptoms. Lavender Essential Oil – Calming and soothing, lavender will help you to relax as the essential oils work their magic, as well as reducing any inflammation caused by your seasonal allergies. Basil Essential Oil – Allergies can make you feel drowsy, and basil will help you to focus at work, boosting your alertness. Peppermint Essential Oil – For sinus and airway clearing effect, peppermint essential oil can provide instant relief, as well as killing bacteria. Lemon Essential Oil – There’s a reason lemon and honey drinks are so soothing, and lemon essential oil can relieve any sinus pain and give your immune system a boost. Eucalyptus Essential Oil – Perfect for clearing the airways, eucalyptus also has healing properties that will help your body recover quickly. Orange Essential Oil – The health benefits of orange essential oil can be attributed to its properties as an anti-inflammatory, antidepressant and mood elevator. For a productive start to the day and a boost throughout, take this in an inhaler to the office. With a refreshing scent and many uplifting oils, this will help you to energize and focus for the entire day. Blue tansy will effectively relieve most of your distracting symptoms, helped by the clearing effect of peppermint. Orange and basil ensure that you stay focused and upbeat, giving you the right attitude to battle through those seasonal allergies. For a natural allergy remedy that will get rid of your symptoms and leave you feeling strong and positive, this blend is ideal. With all the most effective essential oils, you can feel symptom-free for the first time this season. The following recipe is for a diffuser, but simply halve the quantities for an inhaler. If allergies are keeping you up at night with frustrating symptoms, this could be the right blend for you. A relaxing, subtle scent for your diffuser that will help you sleep, try this mixture for instant relief and relaxation. While the lavender helps you sleep, the chamomile and lemon will boost your immune system and help you reach recovery as you rest.